“He has never said these lies so wrongly attributed to him. There is no chance he will ever utter such words against President Buhari, a man he worked very hard for to become President, along with millions of Nigerians who voted. 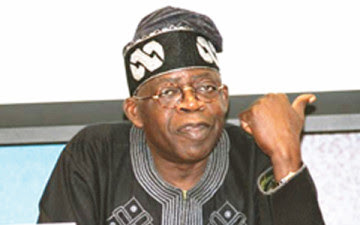 Tinubu would not accuse the President of plotting his own injury. If anything, he is alarmed by how this may impair the government’s substantive reform agenda. Tinubu’s media aide, Mr. Sunday Dare, also denied reports that Saraki visited Tinubu in Lagos recently. Dare said Tinubu had been in France since last week and was going to London before returning to Nigeria. He, therefore, stated that it was impossible for Tinubu to be in two places at once.